In a statement about his decision, Vitti said he ordered initial water tests in the spring. He added that the analysis wasn't a response to any state or federal laws. Citing other schools that were previously known to have potentially unsafe water, Vittti said at least 34 Detroit schools have water quality issues. The Detroit school system's water comes from the Great Lakes Water Authority, which said the problem isn't in its water or delivery systems, but in the antiquated plumbing and fixtures in the city's school buildings. In a joint statement with the Detroit Water and Sewerage Department, the water authority said its drinking water "not only meets, but surpasses all federal and state Safe Drinking Water Act regulations for quality and safety." The most recent testing analyzed water from all drinking fountains and sinks — something the district superintendent said made it more thorough than previous safety checks. Vitti said the mayor's office has pledged to find a way to make the schools' water safe. In the meantime, the city of Detroit is listing school water test results online. 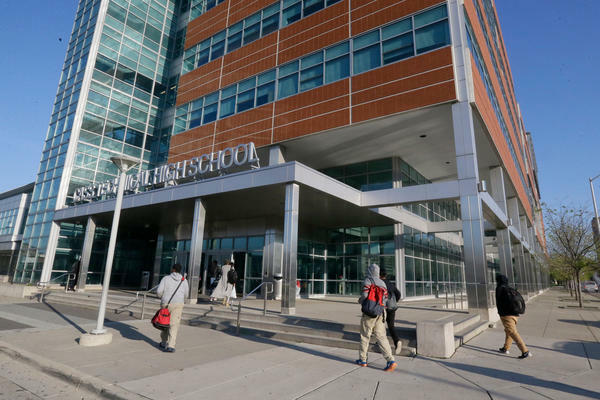 A review of Detroit's public school facilities found it would take about $500 million to completely repair and update all buildings, Michigan Public Radio reported. If the problems aren't addressed soon, the district said, the price tag would run to billions of dollars.